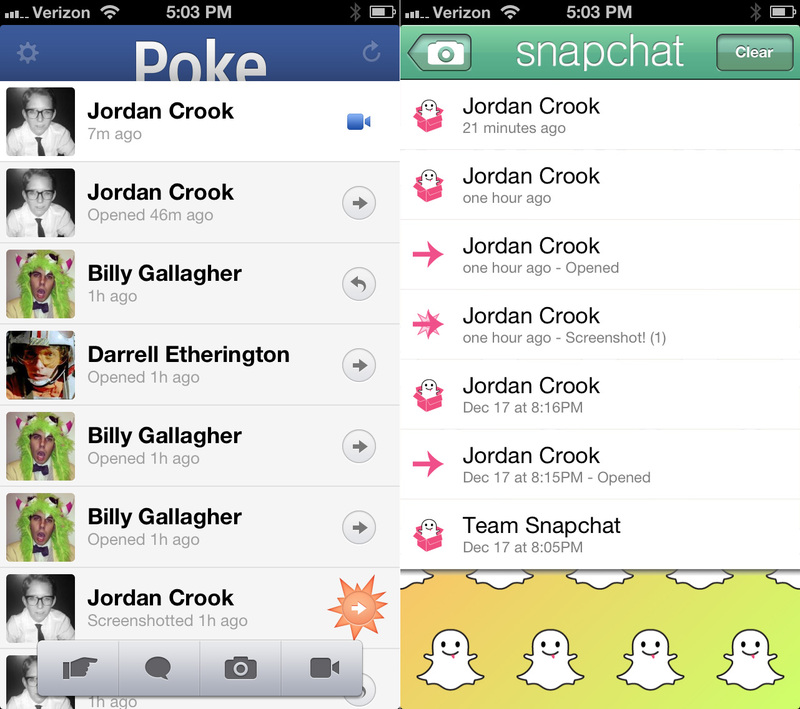 Facebook Poke Vs. Snapchat: What’s The Difference? Today, Facebook launched a new mobile app called Poke. It’s strikingly similar to a new photo-sharing app that’s taken the blogosphere by storm, called Snapchat. 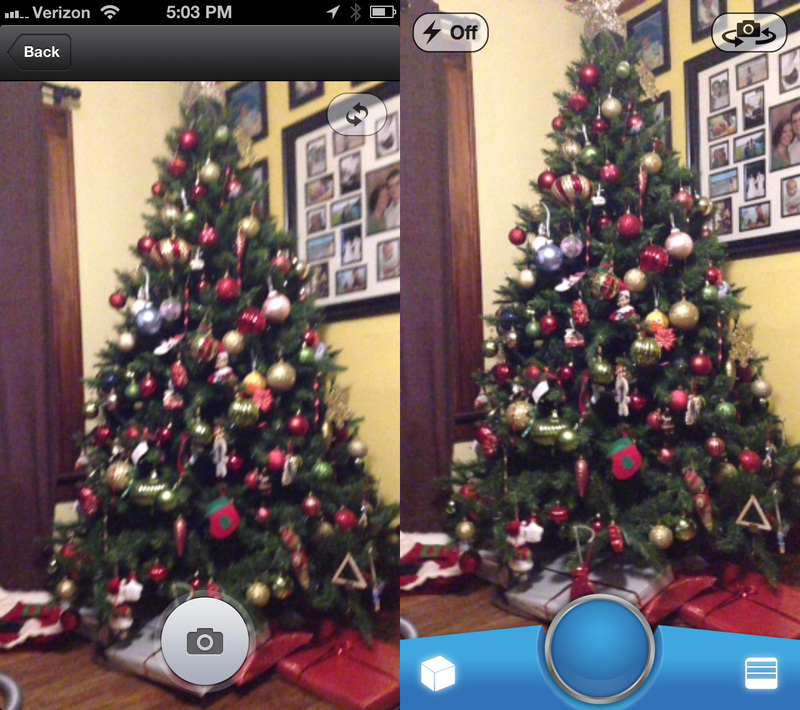 Both Snapchat and Poke let you send pictures or videos which are then destroyed within a matter of seconds. But the social network has officially launched its competitor, and the differences are few but important. The biggest difference between Snapchat and Poke may come down to Terms Of Service, which is fitting with the Instagram conversation still burning. It’s unclear whether or not Poke keeps the images on Facebook’s servers or not. We’ve reached out to Facebook and are waiting to see what Facebook puts on the now-empty Poke support page. The social network may have to develop some new language for this app, as opposed to having all of Facebook’s products fall under the same terms of service. In fact, Josh Constine has learned that Facebook may actually be completely deleting photos from its servers or is at least making them completely inaccessible to users and employees. We’ll wait for confirmation on that. All Poke messages are stored in encrypted form and retained for two days after the last recipient views the poke — a process that helps facilitate abuse reporting. After that period, a Poke’s encryption key is deleted. However, it may still be possible to recover that key from logs or backups. After a fixed time period, this key becomes inaccessible, rendering the content completely unreadable (unless it was copied for abuse reporting.) Today, that fixed period can be up to 90 days, but we are working to significantly reduce that period over the next several weeks as we verify the stability of the Poke deletion system. Snapchat’s method is to delete the image from its servers as soon as the recipient has seen it. A second, and important, difference is the way Snapchat and Poke connect you to friends. Snapchat uses Facebook to find friends, and obviously Poke does the same, so Poke has a leg up in terms of auto-integration. Still, Snapchat may help you actually find more friends with the app, as you can search by phone number or user name to add friends. It’s also worth considering Snapchat’s username customization. The app has a loyal base of users with chosen screen names. 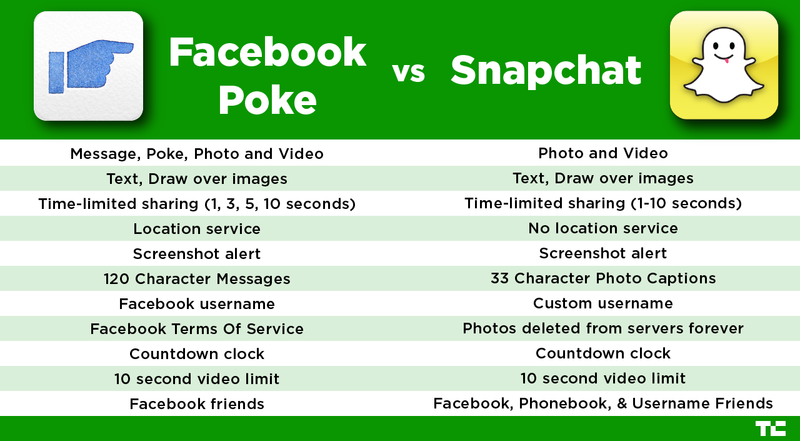 That could be one of the bigger differences between Snapchat and Facebook Poke. When you download Poke on a mobile device, you instantly log in with your Facebook Profile, relegating you to the name you use on Facebook and the friends you have there. Though I don’t believe in the slightest that Snapchat is used primarily for sexting, I do think that there may be some users who enjoy snapping with randos (as evidenced by Twitter) that would like to keep their anonymous user name. Both let you overlay text onto photos, and both let you draw over photos in a selection of colors (if we’re getting picky, Snapchat has more color options for drawing). After you’ve taken your picture (or video) and added your text and artwork, both apps let you set a limit on how long the content will be viewable to the recipient. On Poke, the second limit is a choice between 1, 3, 5 or 10 seconds, whereas Snapchat lets you choose anywhere between 1 and 10 seconds. The actual feature differences are slight, but it’ll be interesting to watch this space take off now that Facebook has thrown its hat in the ring.